A good bike trip for Chile, only MTB trails. 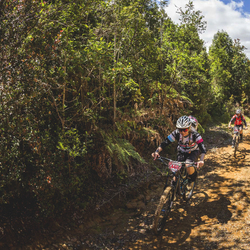 Ride in Ninhue with Las Dos Antonia's MTB Ranch, is the first stop!! Ninhue is a rural town with a large tradition history, in this place born a one of the more important national heroes. Arturo Prat Chacon was the capitan Esmeralda boat, who participated in ocean pacific war with Perú and Bolivia in 1879. Is the perfect mix with Chilean history and the trails to ride. Carlos Huerta and his family are owners the Dos Antonias MTB ranch. He and his staff knows the epics and secret trails in the native forest together a the best and typical meals prepareted by his family. In the last two years, the Ninhue trails have been part of the national Championship, have a big singletracks network to practice MTB. You can choose how to climb, pick up truck shuttle or pedaling. 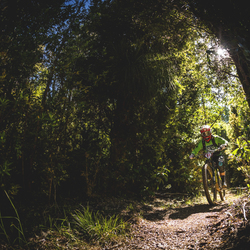 All the singletraks are a natural trails under native forest. You know the social accommodation format? Ninhue don´t have a fancy hotels, the people of Ninhue open their house and offers the accommodation all inclusive with a lot preocupation, good meals and you feel like home. Chillan in 2014 was the place of the first round of EWS. Chillan have many trails to ride in the park as also out the park. If you like to jump and fold very fast, this place is for you. The accomodation is in a lodge all inclusive a few kilometers of the park. Is a nice place to have a rest. If you want full service and more comfortable, buy the all inclusive pack. The main difference between the packs are: In the "all inclusive tour" all the time you are accompanied with a Montenbaik guide who is the administrator and responsible to accomplish the program. Other point, is the all the comun cost, are inclusive in the total price. for example the highway taxes and the fuel. In the básic pack, the group ride alone, they are the responsible to accomplish the tour. Accommodation for four night, in a family hostel of Ninhue village and Lodge Las Trancas in Chillan. Valor exclusivo para 1 rider / Price exclusive for a 1 rider. The rock and roll has started. MTB Bike Park ride all day long. In the pick up truck start the trip to Ninhue from Matanas (the last place of Andes Pacifico). Arrival to Ninhue between 18:00 and 20:00, Carlos and his family waiting for the dinner. - After have bought the ticket, it´s necessary to send an email to tours@montenbaik.com to coordinate the schedule to ride. - The practice of MTB it is an activity have the potential to cause severe injuries. Therefore, the user, release for montenbaik tours for any injuries that may occur. - We accept cancellations but it must be informed 48 hours prior the date of the tour with an email to tours@montenbaik. It will be refund of 70% of the cost of the service.